A Rainy Night In Soho By Shane Mc Gowan And The Pogues, Lyrics and guitar chords Also recorded by Christy Moore and by Damien Dampsey, Written By Shane MacGowan. the youtube video is of myself which will show you how to play the song on guitar. I place a capo on the 5th fret and play G, C and D for the whole song. 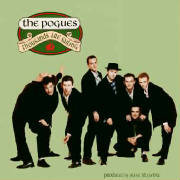 The key doesn't change, I'm still in the key of C Major, the same as The Pogues play it. This is an easy way of playing without using the F chord.